Perhaps you have just purchased an electric smoker. Or you have heard how convenient they are and are thinking about buying one yourself. You could spend loads of time scouring the web for tips and tricks about how to get the best out of your new smoker, but we’re sure you’d rather just get out there and start smoking! 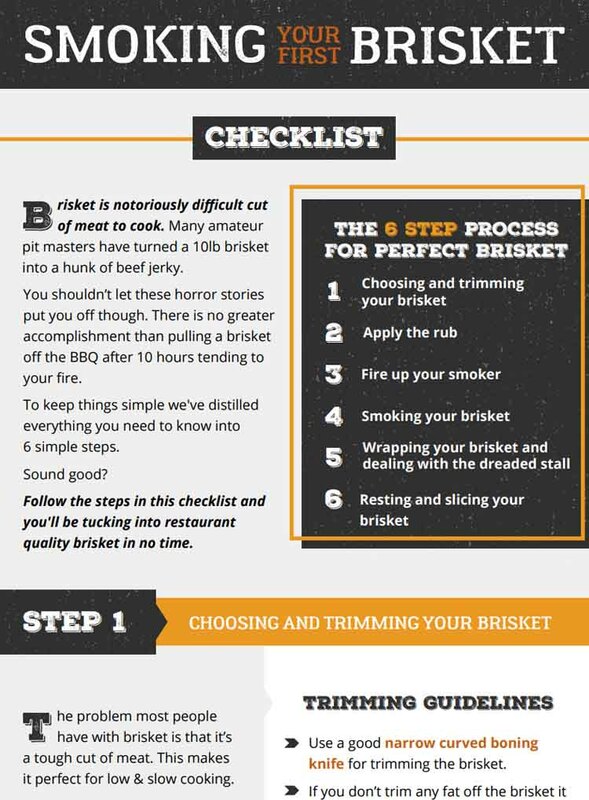 So to save you time, we have listed 9 top tips mastering your electric smoker. If you have an electric smoker, you may be familiar with how inconvenient and quite frankly inadequate chip trays can be . A small chip tray needs to be refilled several times throughout the smoke, and often the results are disappointing – bland food without much of a smoky flavor. 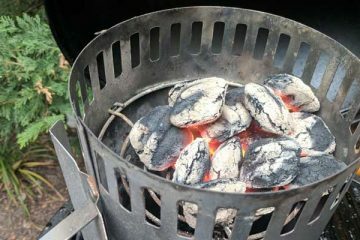 For these reasons, many barbecue enthusiasts out there have left the chip tray behind; in favor of a small tube which gives off up to 4 hours or box which gives off up to 11 hours of thin, blue smoke — the A-Maze-N Pellet Smoker. 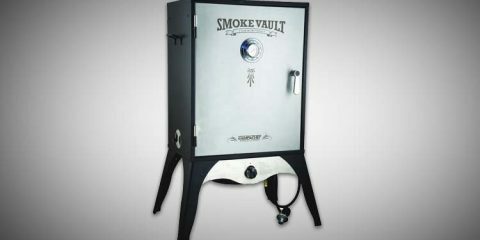 This pellet smoker is inexpensive, very easy to use and provides consistent smoke. All you need to do is load the tray with pellets, ensuring the pellets are below the ridge of the dividers in the tray. Light the pellets with a lighter or blowtorch. You might need to apply the heat for around 45 seconds. Once the pellets are alight, blow out the flames. 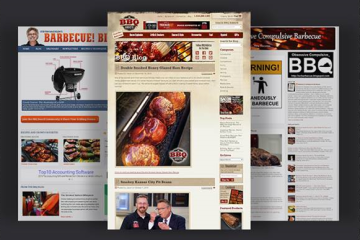 This video shows how you can use A-Maze-N pellet smoker to add extra smoke when you cook. Place the tray in the smoker, open your vent, and sit back and relax. A full tray of pellets should provide enough smoke for ribs, turkey legs or similar sized cuts. Experiment a little with how much smoke you like. You can light the pellet in the tray from both ends if you like a little more smoke density. I hate to state the obvious, but it will burn out in half the time if you decide to burn from both ends. Remember that more is not more when it comes to smoke. Generally, it is surprising how little smoke is needed to create a top-notch flavor. While there will be a period of experimentation (which is half the fun), don’t forget that, especially in the case of poultry, food that is over-smoked can become pretty much inedible. You will likely only need to use one tray of chips/pellets when cooking chicken to get a decent flavor. Chicken is not a meat that you cook “low and slow”. In fact, the temperature you should be aiming to smoke chicken is around 275°F. The cook should take around 1 ½ to 2 hours. Especially when cooking chicken, it is vital that the meat is properly cooked. As you probably know, undercooked chicken is dangerous. The best way to check that the chicken is done is to check the internal temperature of the meat. 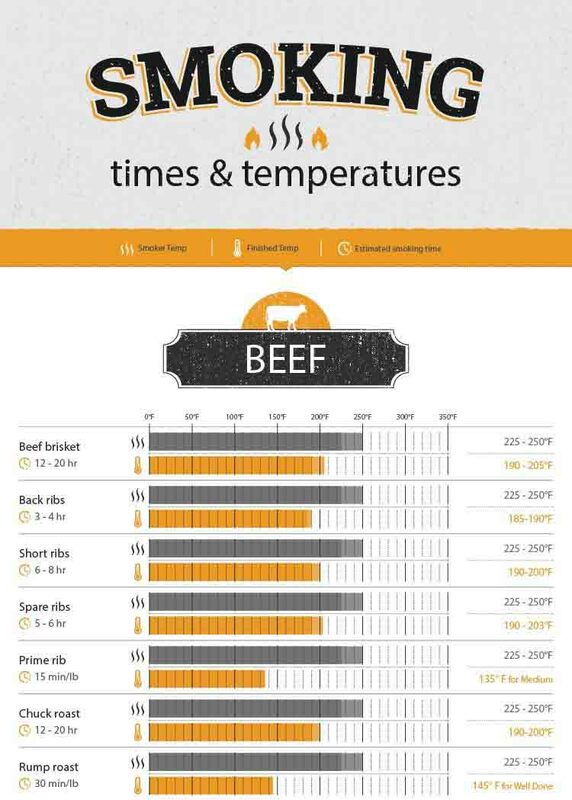 The internal temperature needs to reach 165°F before it is cooked and safe to eat. Judging whether the meat is cooked simply by counting the time the chicken has been cooking is not a reliable enough measure. 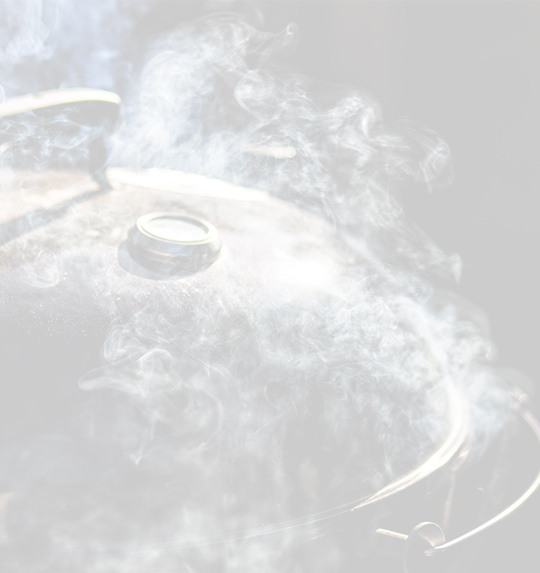 At the beginning of a smoke, the temperature inside an electric smoker is renowned for ‘swinging’. Sometimes, this can be up to 20°F above or below the set temperature. To understand how to control these swings, let’s have a look at why they happen. If you set your cooker to a certain temperature, say, 220°F, the temperature will rise until it hits this point. The heating element will stop once this temperature is reached, however, due to a slight lag, the internal temperature in the cooker will continue to rise of its own accord for some time. How high the temperature climbs depends on a few things, like the temperature outside, or how windy it is. Eventually, the temperature will start to drop again. Once the temperature has dipped back down to your set temperature, the element will come on again. However, the temperature will continue to fall below your set temperature until the effect of the element kicks in. Again, this is due to the time lag. Therefore, if you want the temperature inside your cooker to be 220°F, try setting the smoker at 205°F or 210°F. You will need to watch the temperature as it climbs. Once the internal temperature hits your actual desired temperature (220°F), as it climbs above the temperature you actually set (210°F), reset the temperature to 220°F on the controller. By using this method, you will reduce the temperature “swing” as your cooker won’t have to work to compensate for the difference between the set temperature and the actual temperature. Hopefully you did your research when you were looking at smokers and picked a model that was well insulated. If you’re still thinking about buying, we’ve got a guide to the best electric smokers here. You may need to make some further fine adjustments to the set temperature to reduce the “swing” even further. Once you have experimented a little, you should be able to get your smoker running pretty close to temperature from the get go. Your cooker will likely have the option of a cold smoker attachment. If you can’t get your hands on one, pellet smoking devices such as the A-Maze-N Pellet products will perform a similar function. 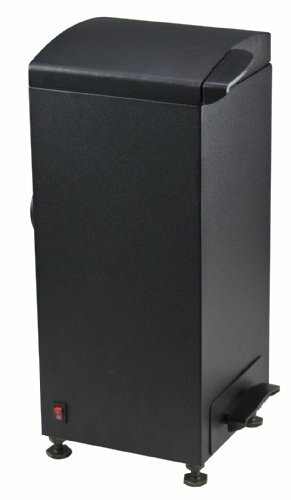 The Masterbuilt cold smoker attachment, for instance, will provide up to 6 hours of consistent smoke. It uses regular wood chips and attaches to your digital smoker. These attachments will smoke at temperatures as low as 100 – 120°F, making them perfect for cold smoking products such as cheeses. 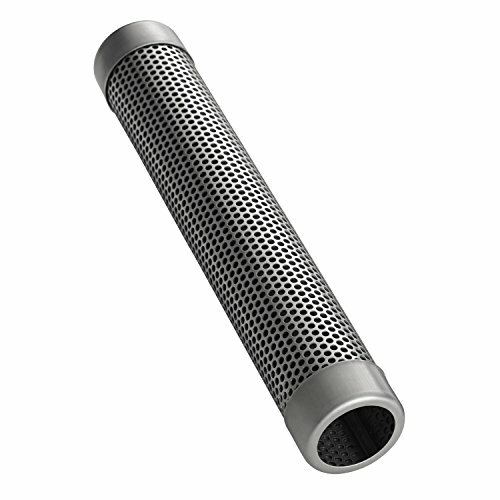 Generally you do not need to season your cold smoker attachment, although you do need to use it with a seasoned smoker. To be sure, read the manufacturer’s guidelines for the attachment you purchase. As with electric smokers, do not soak the chips you plan to smoke. When lighting the chips to smoke, do not be afraid of letting them flame up initially. To get good smoke, there needs to be adequate temperature. Wait until you are getting thin, blue smoke before you subject the food to the smoke. While finding the right vent position can be a bit of a challenge when you are using a charcoal smoker, it is not that complicated when you use an electric smoker. As a rule of thumb, it is best to leave the vent fully open while you are applying smoke to your meat. By leaving the vent completely open, you avoid the risk of creosote building up on your meat. 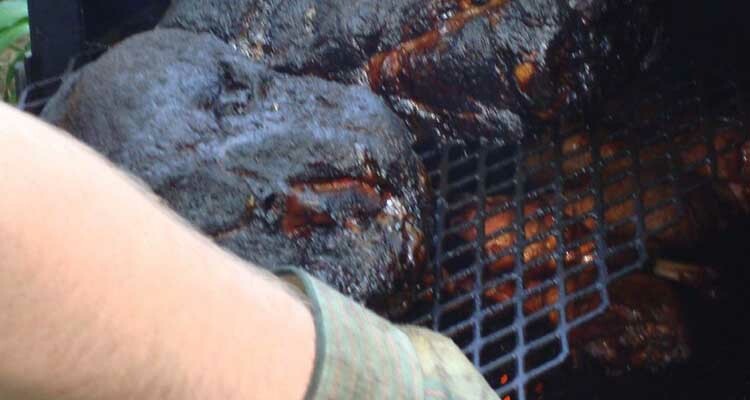 Creosote is a compound in smoke, which, in small amounts, helps create the distinctive smokey flavor we love. However, it can quickly become very nasty indeed. While a very small amount of creosote in your smoke is a good thing, a coating of creosote on your food will make it taste terrible. Generally speaking, the only time you should close your vent while you are cooking is when you have finished smoking your meat and simply want to raise the internal temperature inside the smoker. This is more of a housekeeping tip, but let’s be honest, anything that saves time on the cleanup is welcome advice. Aside from being a matter of efficiency, clean grill racks equal better barbecue results. Any leftover grease and oil on your grates will go rancid. This grease and oil can stick to your food, and can also produce smoke when it gets hot as you cook. The net result? It will make your food taste bad. You can also use foil to cover your heat deflector pan and drip pan. You might decide to stick with chips to create your smoke, and that is completely up to you – we don’t judge here. But if you do decide to use chips, there really is no need to soak them. The reason? The white “smoke” that comes off these soaked chips is not actually smoke at all. “You might think you see smoke when you toss on wet wood, but it is really steam”. The aim when smoking is to create thin, blue smoke. This is the type of smoke that imparts that really tasty, smokey flavor that we are all striving for. White, billowy steam can also make temperature control more of a challenge as all that moisture evaporates out of your chips. It is also liable to cause components of your smoker to rust. It may seem like a real pain-in-the-rump extra step to have to season your smoker before you use it. But believe me, there are good reasons to do so. First, it will ensure that any nasty residue from the manufacturing process is removed before you actually cook food in your smoker. By this we mean petroleum based products, solvents and dust. The fine layer of smoke that leaves a black coating over everything inside not only helps cure and seal the inside of your smoker, it adds to the smokey flavor of whatever you cook. 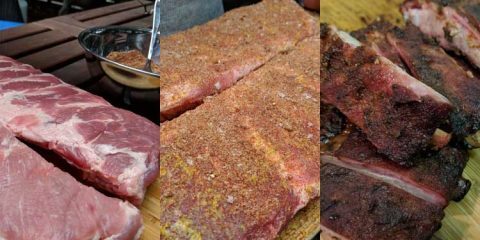 You can find more detail about how to season your electric smoker, and even more reasons why it is important in this post, just in case you aren’t convinced by this little recap. 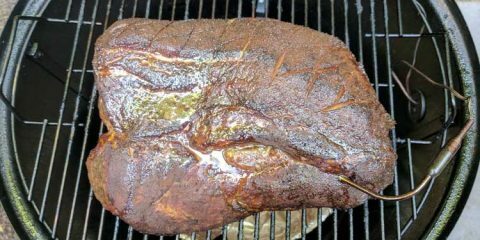 We hope you have enjoyed our list of our top 9 tips that will help you smoke like a pro in your electric smoker. Do you have any other tips you would like to share, or do you have some questions that we didn’t touch on in this post? Be sure to leave a comment in the section below. And if you found this article useful, be sure to share! My Char Broil smoker has no vents on it except for a small finger size tube that comes out the back at the top. I’ve tried the tube for pellets but not enough air intake to keep them burning. What can I do. I seem to be the only electric smoker than didn’t get the bulletin about adding a pellet smoker. I just did, thanks to you, and ordered one. This could be life changing since I’ve been forced by the fire department to switch from a coal to electric smoker.